Now that you’ve heard Sabicas, it’s time we introduce yet another nylon-string-playing Fahey-influence. I’ll leave the writing to others on this one, since it’s getting late and this is my second posting tonight. I’ve posted 2 albums, one which is more traditional and one which is more exploratory. 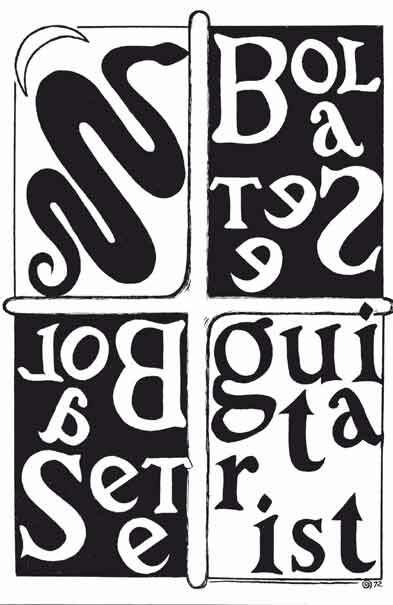 — John Fahey, “Bola Sete, The Nature of Infinity, And John Fahey,” Guitar Player, February 1976. 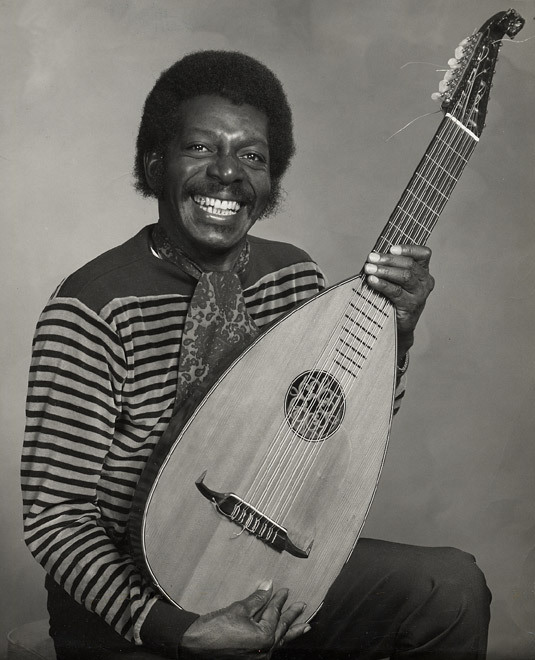 Guitarist Djalma De Andrade, better known as Bola Sete (1923-1987) (or “Seven Ball,” a reference to Brazilian billiards) was both an early exponent of Brazilian music in the United States, and a pioneer of solo acoustic guitar work. Well before the bossa nova boom hit stateside, Sete was living in California, introducing dynamic Latin styles into the various small jazz combos he sat in with. Later his style became more introspective and expressive, mirroring the shift in the acoustic guitar repertoire brought about by players such as John Fahey and William Ackerman. The words Bola Sete are Portuguese for the seventh ball in the billiard game, which is the only black one. He got his nickname after being the only black man in a small group. From an early age, he was habitual at the Bohemian circles of Praça Tiradentes, Rio, where musicians met. At 17, he joined composer Henricão’s group, which was going to Marília for an eight-month season. Returning to Rio, he played at every available venue in Campinas SP and Niterói RJ. In 1945, Rio’s Rádio Transmissora instituted a violão (acoustic guitar) contest, in which he was the winner. He continued to play through Minas Gerais and Rio. At last, he was hired contractually by Rádio Transmissora and he worked in the famous Trem da Alegria show for three years at the João Caetano Theater with Lamartine Babo, Iara Sales, and Héber de Bôscoli. At the end of the ’40s, he formed his own group, Bola Sete e seu Conjunto. In that time, Dolores Durán, who went on to be a famous singer and composer, was a crooner at the Béguin nightclub and once invited, became the group’s singer at the Drink and Vogue nightclubs. In 1952, he went to Italy and played in several clubs and hotels until 1954. In that year, he returned to Brazil and formed an orchestra, with which he toured through Argentina, Uruguay, and Spain. In 1955, he toured again, this time through Lima, Peru, and Santiago do Chile. In 1959, he moved to the U.S. and in 1962, was hired directly by the general manager of Sheraton Hotels to play in the several units of that chain. 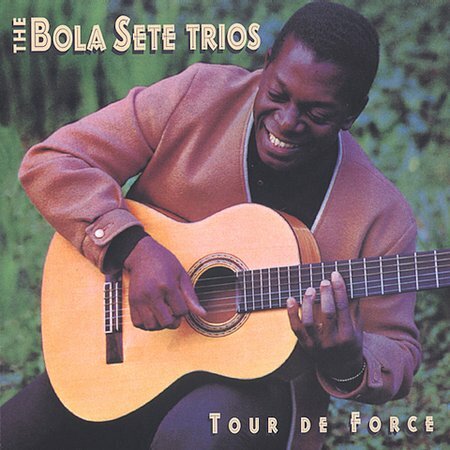 In 1960, the label Sinter, which had already recorded several cuts with him, released the LP Bola Sete. He had also recorded for Odeon, which released at the same time Bola Sete e Quatro Trombones with his own compositions and Gershwin standards. In 1962, he appeared at the historic Bossa Nova Festival at Carnegie Hall in New York. He also played at the Village Gate and Vanguard. In the same year, Odeon Brasil released O Extraordinário Bola Sete and Fantasy released Bossa Nova. He was then playing at New York’s Park Sheraton and later in the same year, he moved to San Francisco to play at the Sheraton Palace. Dizzy Gillespie was staying there and listened to him every night. When Gillespie’s pianist, Lalo Schifrin, came to the hotel, he met Sete, with whom he had become acquainted and played with when the Brazilian toured Argentina. Invited by Gillespie, Sete played with him at the Ninth Annual Monterey Jazz Festival with great success. Following tours and a recorded album with Gillespie, Sete moved again to San Francisco and joined Vince Guaraldi’s trio. This two-year association, profitable for both artists, consolidated the already expressive popularity of Sete in the U.S. They recorded together 1963’s Vince Guaraldi, Bola Sete & Friends (Fantasy). Then he formed his own trio with Brazilian musicians Tião Neto (bass) and Chico Batera (drums), with which he performed at the 1966 Monterey Jazz Festival, again with great success. From November 11 to 13, 1966, Sete was featured at the Fillmore Auditorium. His releases in the U.S. include 1964’s Tour de Force and From All Sides (with Vince Guaraldi), 1965’s The Solo Guitar of Bola Sete and The Incomparable Bola Sete, 1966’s Live at El Matador (with Vince Guaraldi) and Autentico, 1967’s At the Monterey Jazz Festival, 1969’s Shebaba (all through Fantasy), 1976’s Working on a Groovy Thing (Paramount), 1981’s Ocean and Ocean II (Lost Lake), and 1985’s Jungle Suite (Dancing Cat). In 1969, he appeared at the Mexico Brazilian and American Music Festival, together with Eumir Deodato, Milton Nascimento, and Airto Moreira. Sete led a trio on this mid-1963 date, backed by Fred Schrieber on bass and John Rae on drums. It tilts a little to the mellower, more sentimental side than more driving sessions such as the one he did the previous year for Bossa Nova. It’s still quality by-the-fire jazz bossa nova music, Sete’s playing a lesson in both skill and discreet economy. 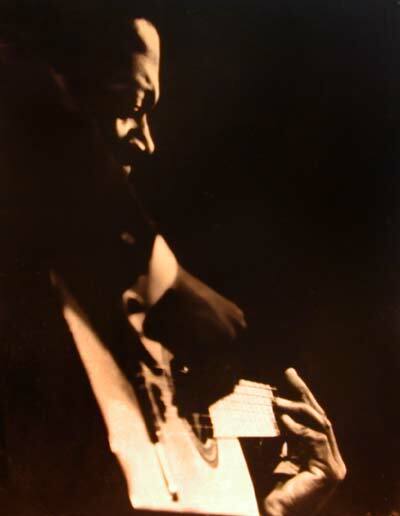 While he wrote three of the ten songs, his repertoire of cover selections is fairly wide ranging, taking in “Moon River,” Dizzy Gillespie’s “Tour de Force,” and, as a special highlight, his version of Isaac Albeinz’s “Asturias,” the mournful flamenco-influenced song familiar to any student of Spanish-style guitar. There’s also a samba that Luiz Bonfa had a hand in writing (“Sambe de Orfeu”), and as one of the niftier detours from the usual, a solo interpretation of J.S. Bach’s “Bourree.” The 2001 CD reissue on Fantasy also includes the entirety of his late-1962 session Bossa Nova, which is an excellent midpoint between bossa nova and mainstream American jazz. Recently repackaged on a single CD, these two early albums by guitarist Djalma de Andrade (aka Bola Sete) are nothing short of dazzling. While he clearly shared a rhythmic and melodic affinity with his Brazilian contemporaries, Sete was somewhat miscast as a member of the bossa crowd — already living and working in California at the time of the Getz-Gilberto breakthrough, Bola Sete had already developed his own style, much bouncier and more overtly aligned with the West Coast jazz scene. In his quieter moments, he could easily touch on the cool reserve of the bossa scene, but he also swung with abandon, and reveled in a good, strong backbeat. Both of these albums are recorded in a trio setting, with compact accompaniment — bass, drums and percussion — allowing the sprightly and impressive guitar work to come through loud and clear. Highly recommended. 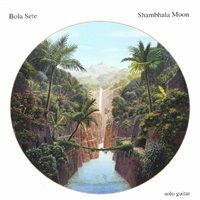 Bola Sete’s solo guitar suite containing the music of hidden and magical places. When Bola Sete’s widow Anne issued “Ocean Memories”, a series of solo recordings made in 1972, it marked the first time his sophisticated solo guitar music had been on CD. “Shambhala Moon” was recorded ten years later and issued originally on the Dancing Cat label. This re-issue on CD is the only known recording of Sete playing solo with a steel-string guitar.The two suites that make up this recording are, frankly, on another level entirely than virtually anything else the guitarist issued in his lifetime. 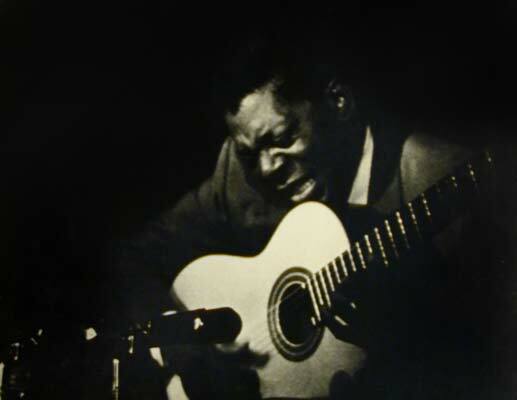 His fusion of Brazilian, classical, flamenco, jazz, and numerous folk styles was unprecedented and remains unmatched.Here, while sitting in a full lotus position, Sete moves through an astonishing array of techniques and nuances of expression that make the sound of the guitar literally float, suspended outside the time-space continuum. His aren’t seemingly flashy techniques, but most guitarists wouldn’t even attempt them. Often utilizing bossa nova and samba chord progressions to initiate an improvisation on a theme, he will slide through cascading minor keys (as on “Morning Rises Through the Mist”) to find a place to embellish them by augmentation, suspension, and even diminishment, distilling a pattern to its essence before stretching it back out again, ending in an otherworldly counterpoint to his original premise. No cut offers a greater example of this than the title piece, which Sete begins as a nocturne in E minor in the Spanish style before stretching it to A minor. Once he establishes a rhythmic and syntactic pattern on the sixth, he constructs a bridge to an augmented ninth and folds in everything he’s played thus far, before tearing it back down to a skeletal whisper of a theme. For guitar students and fans or not, “Shambhala Moon” is quite simply among the most inspired examples of passionate and technically brilliant guitar playing in the recorded history of the instrument. Literally a meditative album, this was recorded as Sete was deeply into yoga and TM… It’s similar in style to the Ocean album, though without the more strident, forceful moments. Explorative solo acoustic guitar work, with curlicued variations on flamenco and classical styles — this was one of the earlier Dancing Cat releases, and is less mellow than than its contemporary albums… Consistently probing and active, Sete’s guitar work compels the listener’s attention without seeming jarring or overwrought. The Shambhala Moon reissue adds one extra track to the original 1985 release, Jungle Suite. Worth checking out. the land of everlasting life. oh, and if you want to hear more of this incredible dude, check out albums at Loronix and Annäherungen. This entry was posted in Guitar, seeds. Bookmark the permalink. Great post, all of Sete's albums are simple fantastic. I'd strongly recomment 'Autentico', since i always felt that this is the album were Sete gave his bossa/samba background a new, totally unique approach. Of all his albums for Fantasy it's the one with the longest, most elaborated tracks. I'd also like to point to my blog were i posted 'The Solo Guitar of Bola Sete'. A beautiful album on which he tried his hands on Villa-Lobos, Granados etc. hey there, thanks for advertising my blog. I am pleased to get attention for all i do is collect some harder to find stuff and put it together. your blog is so great man all those extensive notes on great artist. thank you for your work. if that means to you as much as it means to me, you ought to be very excited. Wow…knew the name but obviously not the music. Just one song and I knew this guy was somebody very, very special. Thanks for this and so many other wonderful lessons in your posts on this great blog.